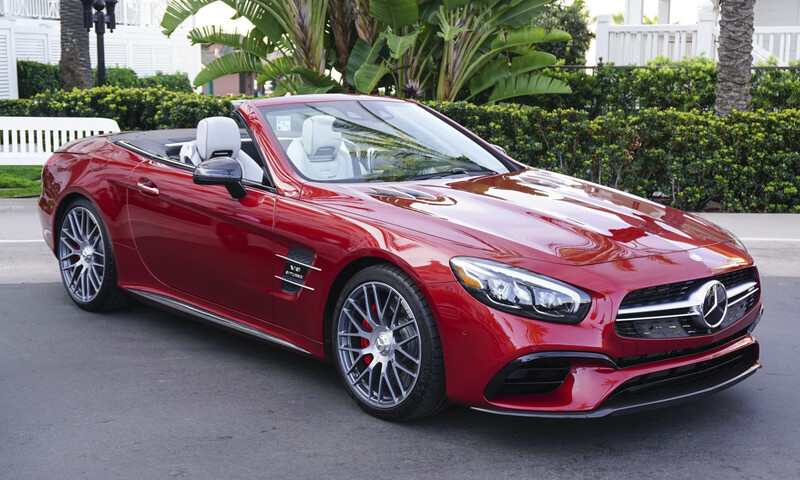 For more than 60 years, the Mercedes-Benz SL roadster has been one of the most admired and sought-after convertibles on the road, recognized as a symbol of success, prestige and sporty elegance. 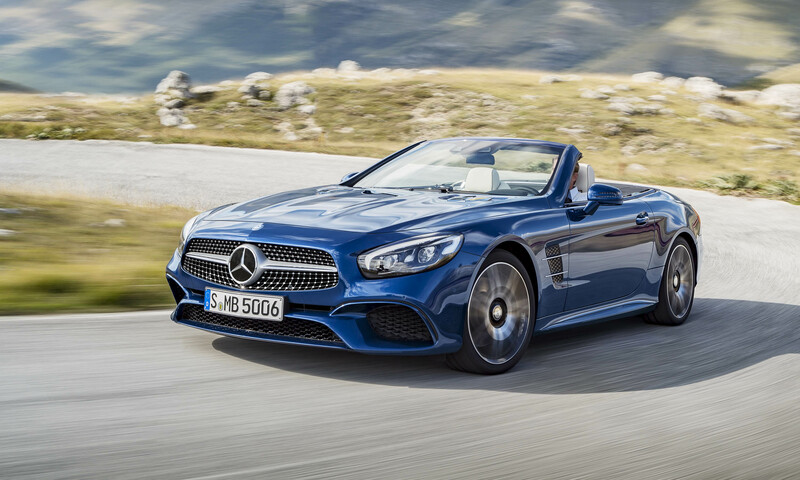 The new 2017 Mercedes-Benz SL roadster continues to embody those attributes as the ultimate in top-down motoring. Benefitting from the latest advances in driver assistance technology, today’s SL is not only the perfect choice for open-top cruising, but the high-performance Mercedes-AMG versions offer acceleration and handling to rival serious sports cars. 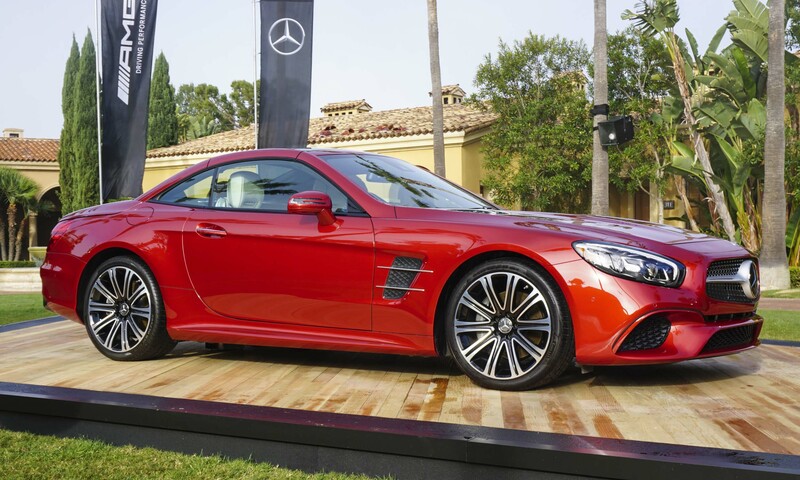 For 2017 the Mercedes-Benz SL is all new from the windshield forward, with a prominent diamond grille that extends downward, swept-back LED headlights, standard AMG body styling, an aggressive front fascia with an integrated body-color splitter and front fender vents. As a tribute to the 300 SL from the 1950s, two long, raised blisters add definition to the hood. 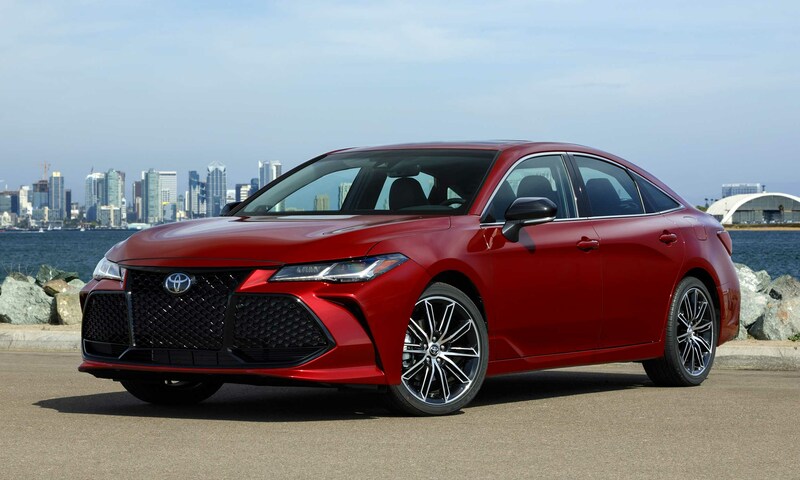 At the rear, horizontal taillights taper from the fenders, and the rear diffuser incorporates the exhaust outlets as well as the center fog and backup lights. Offered in four different versions distinguished by the engine, the 2017 SL model line begins with the SL450, powered by a twin-turbocharged 3.0-liter V6 engine. 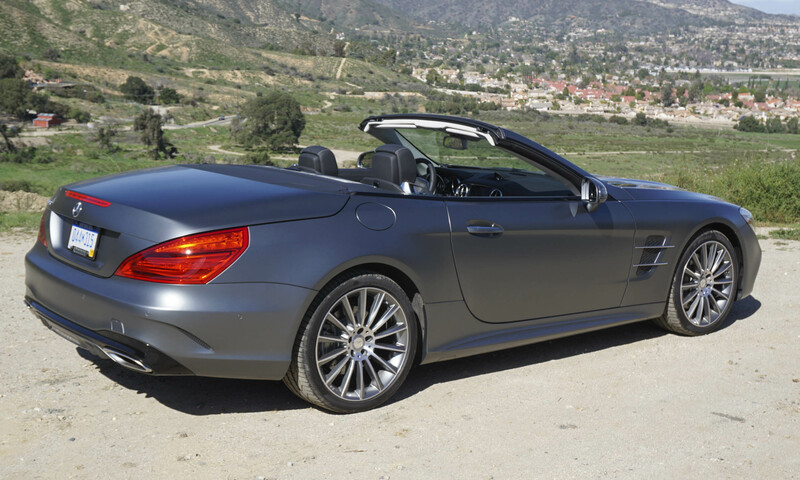 The SL550 sports a twin-turbo 4.7-liter V8 engine. Two Mercedes-AMG choices push the performance envelope, with the SL63 powered by a twin-turbo 5.5-liter V8 engine and the SL65 at the top of the range powered by a twin-turbo 6.0-liter V12 engine. The new SL is scheduled to go on sale in April. Pricing has not been announced, but is expected to be similar to the previous model, with the SL450 starting around $85,000; the SL550 starting about $110,000; the SL63 at $150,000; and the chart-topping SL65 at $220,000. Active Brake Assist — also known as Collision Prevention Assist Plus on other Mercedes-Benz models — is standard and includes radar-based proximity warning, brake assistance and autonomous braking to reduce rear-end collisions. The optional Driver Assistance Package with stereo cameras adds Distronic Plus with steering assistance to help the driver maintain a safe distance from the vehicle in front, and stay in the center of the lane; Active Brake Assist with cross-traffic function; PRE-SAFE Brake to brake autonomously for a stopped vehicle or pedestrians; Active Blind Spot Assist; Active Lane Keeping Assist; and PRE-SAFE Plus. Parking Pilot and adaptive LED lighting are also standard. Standard DYNAMIC SELECT allows the driver to adjust performance and handling characteristics within seconds at the touch of a button, tailoring engine, transmission, suspension and steering response to personal preference and driving conditions. The standard steel suspension includes continuously variable dampers, and the available Active Body Control suspension adds a new “Curve” mode with curve tilting function to increase ride comfort and reduce the feeling of lateral load in corners. For 2017 the SL450 receives a boost in performance via an additional 33 horsepower over the previous SL400; the twin-turbocharged 3.0-liter V6 now produces 362 horsepower and 369 lb-ft of torque, available as low as 2000 rpm. 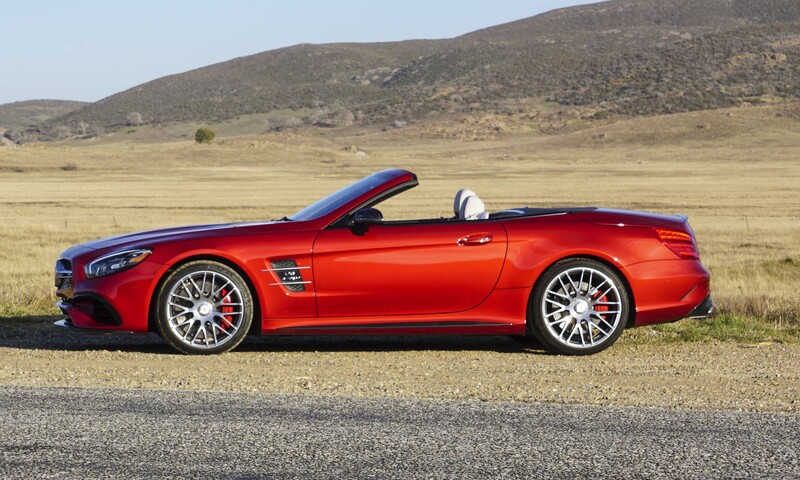 The twin-turbocharged 5.5-liter V8 in the SL550 produces 449 horsepower and 516 lb-ft of torque from 1800 to 3500 rpm. 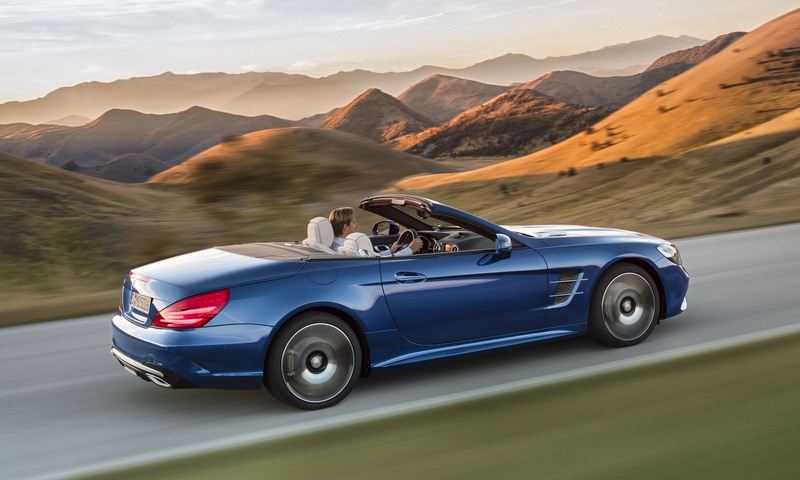 Both the SL450 and SL550 receive the new 9G-TRONIC 9-speed automatic transmission. According to Mercedes-Benz, the SL450 accelerates from zero to 60 mph in 4.9 seconds with the SL550 slightly quicker at 4.3 seconds. 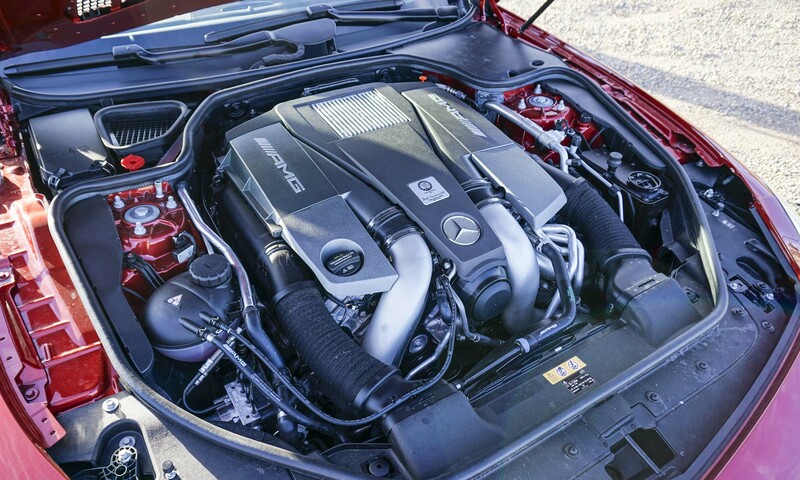 Powerful hand-built AMG engines power the two AMG versions of the SL. The SL63 gets a twin-turbocharged 5.5-liter AMG V8 that produces 577 horsepower and 664 lb-ft of torque at 2250 rpm, combined with the AMG SPEEDSHIFT MCT 7-speed sports transmission to handle the power transfer to the rear wheels. 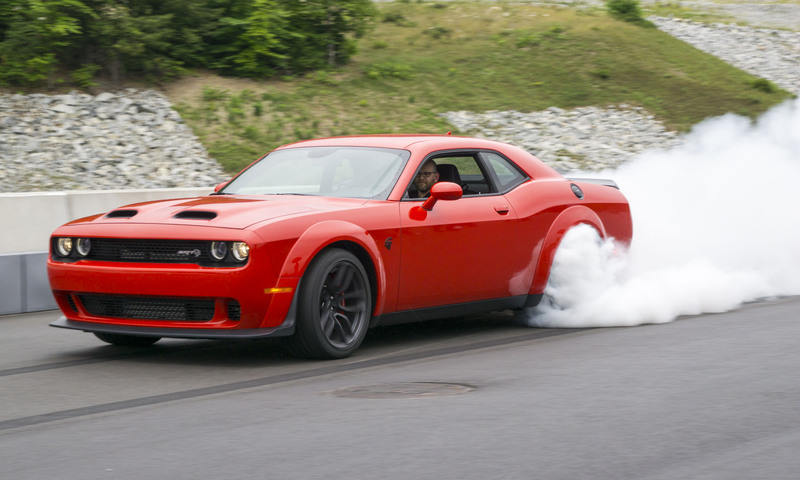 Engine and transmission software have been revised to deliver faster shifts than the previous model, especially in Sport Plus mode and manual shifting. A twin-turbocharged 6.0-liter AMG V12 powers the SL65, producing 621 horsepower and 738 lb-ft of torque, combined with the AMG SPEEDSHIFT PLUS 7G-TRONIC designed to handle the massive torque. Mercedes-Benz figures indicate the SL63 will accelerate from zero to 60 mph in 4.0 seconds, with the SL65 slightly quicker at 3.9 seconds. Both cars are electronically limited to a top track speed of 186 mph. 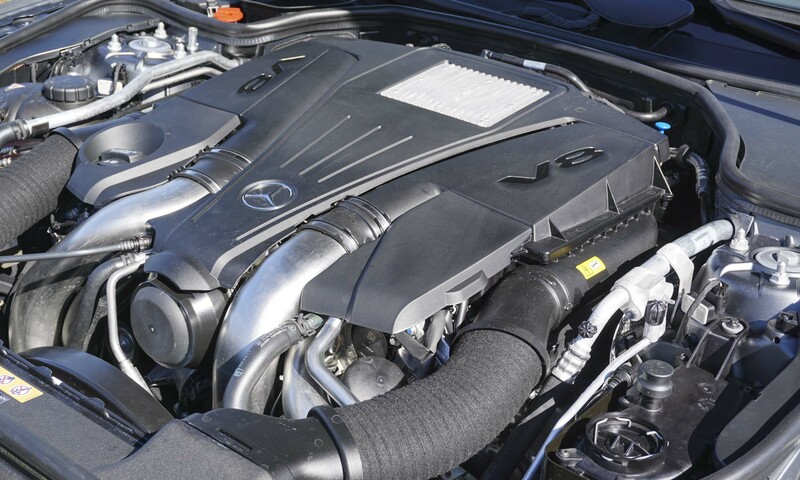 The AMG models include a twin-blade grille as well as larger air intakes and hood vents. The SL63 receives 10-spoke 19-inch light alloy wheels finished in titanium grey with a high sheen finish, and the SL65 features 19-inch multi-spoke ceramic polished forged wheels. The standard AMG sport suspension is based on the Active Body Control System, and an optional Performance Suspension is offered for the SL63. 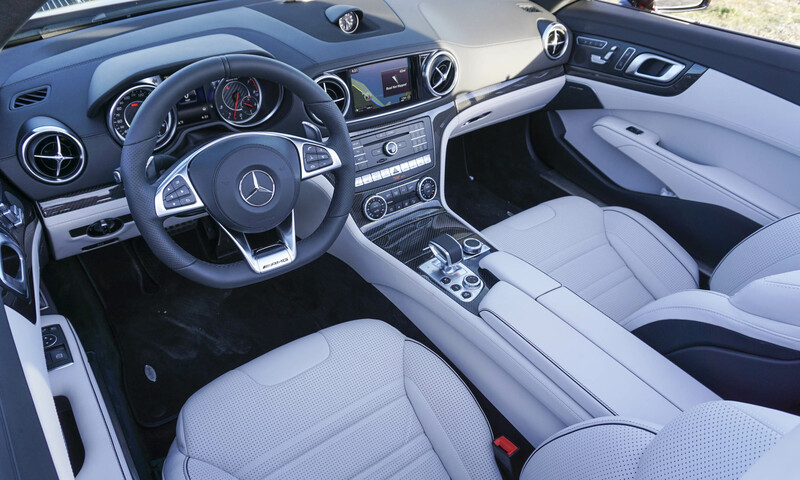 The SL interior continues to offer the perfect combination of elegance and sportiness through a modern version of a classic design. The instrument cluster features two round cylinders housing the speedometer and tachometer, with an information screen between the two gauges. 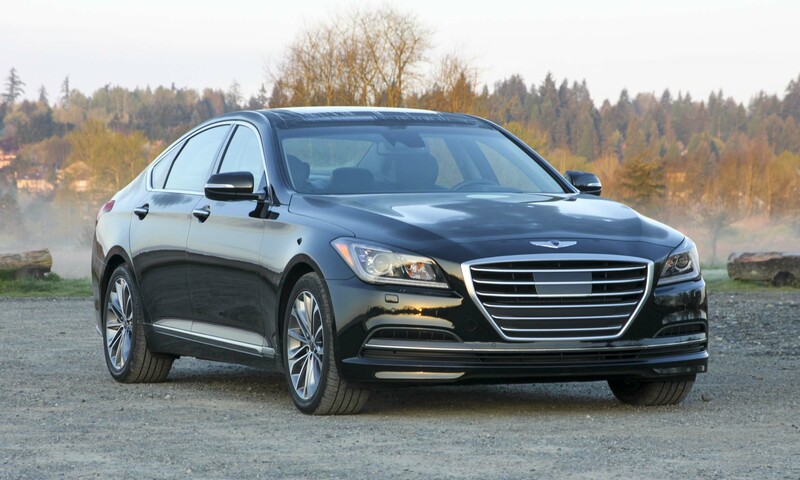 The four round air vents, flat-bottom steering wheel and metal shift paddles behind the steering wheel add to the sporty feel. An infotainment screen gets nicely integrated between the two center vents, bucking the current design trend of positioning the screen to protrude from the top of the dashboard like a tablet. An analog clock sits in the center of the dash. A new Saddle Brown interior becomes part of an extensive choice of colors, leather finishes and trim options to individualize the cabin. LED ambient lighting allows the driver to choose between solar red, polar blue or polar white. During our press drive the new Mercedes-Benz SL was in its element, heading south on California’s Pacific Coast Highway from Newport Beach (the perfect top-down choice for southern California) before turning east to the twisty mountain roads of eastern Orange and San Diego counties. The SL500 offers abundant power with over 500 lb-ft of torque available as low as 1800 rpm, leaving little doubt about Mercedes-Benz’s zero to 60 mph claims. 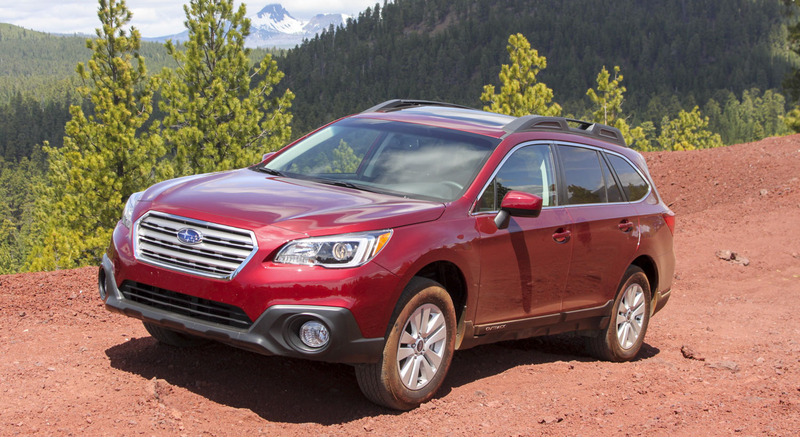 The DYNAMIC SELECT system offers a range of smooth to sport settings for comfortable cruising or more aggressive sporty driving. The Curve setting for the ABC suspension is for comfort, not performance — catering to those who prefer a smooth ride and don’t want to feel the sensation of the corner. With the Curve setting activated, turning into a corner becomes seamless: you don’t feel the suspension take a set, and it’s an odd feeling if you’re used to receiving that information from the car — but it will be a favorite setting for those looking for the smoothest ride. The biggest surprise on our drive was the performance of the SL450 — the first level of the SL lineup but by no means an “entry” model. With maximum torque from the twin-turbo 3.0-liter V6 available at just 2000 rpm, the SL450 is incredibly quick; it accelerates from zero to 60 mph in less than 5 seconds, with great engine and exhaust sounds — especially in Sport mode. The new 9G-TRONIC transmission keeps the engine in the power band when needed, and in Sport mode will downshift going into corners — or the driver can shift manually. The SL450 feels lighter with the smaller engine, and there is plenty of power for spirited driving, making it especially fun to drive. 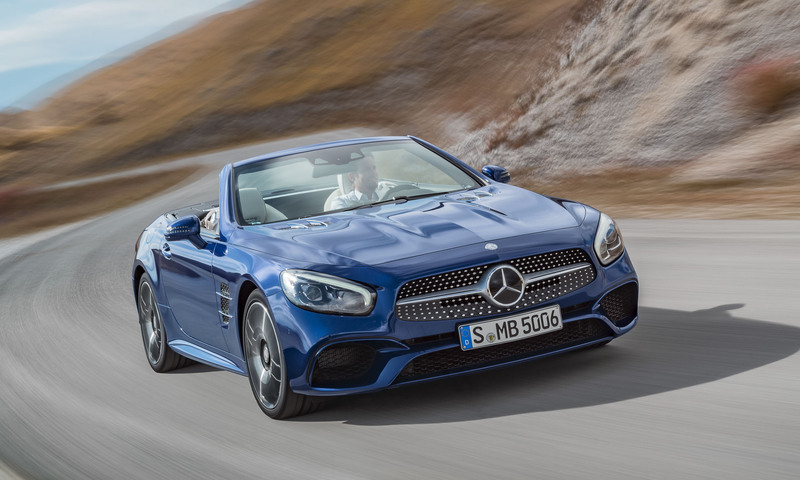 Considering the SL predecessors of the 1950s and ‘60s, the performance level of the AMG SL63 is truly astounding, with the twin-turbo 5.5-liter V8 putting out 577 horsepower and 664 lb-ft of torque for a zero to 60 mph time of 4 seconds flat. Driving through twisty mountain roads, the SL63 rockets out of tight turns and blasts down short straights with lightning-quick shifts from the AMG Speedshift MCT 7-speed transmission, while the massive brakes and sport-tuned suspension set up for the next sharp bend. 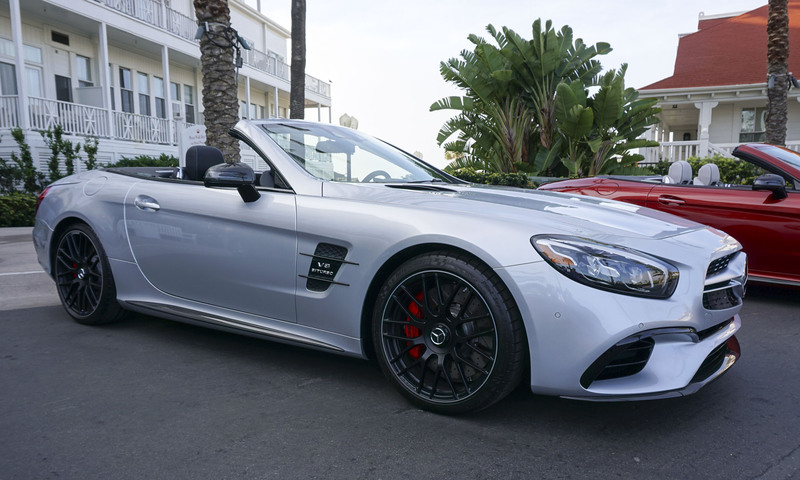 The AMG SL63 is not only the perfect car for cruising the California coast, but also for running canyons with thoroughbred sports cars. 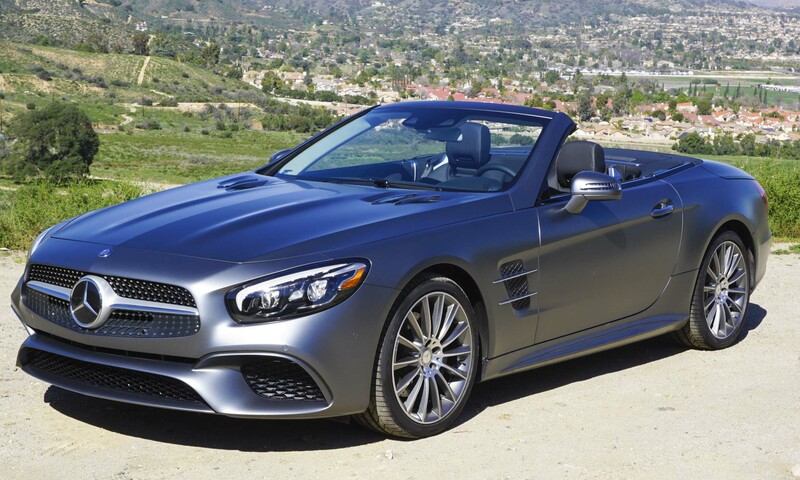 With a new design, the 2017 Mercedes-Benz SL continues the long tradition of an elegant 2-seat roadster, now with a retractable hardtop for coupelike all-weather comfort. Starting with the SL450, the performance and driving enjoyment have increased, while the Mercedes-AMG models deliver sports-car-level performance. With a starting price of $85,000 the SL will be an option for a select few, but if you happen to be in the market for a refined coupe with an open-top option and high-performance capabilities, the 2017 SL could be the right choice for you. 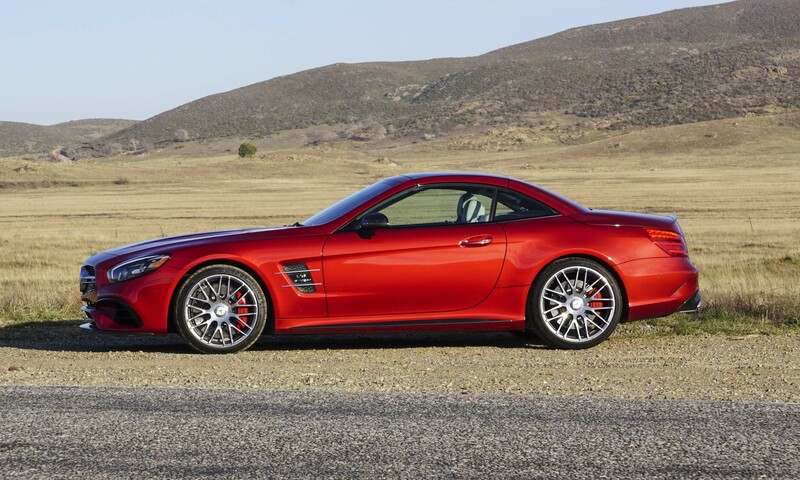 Bottom Line: A new look, more power and high tech make the SL one of most desirable convertibles on the road. Pros: Iconic convertible; perfect combination of sportiness and elegance; coupelike with the retractable hardtop in place. 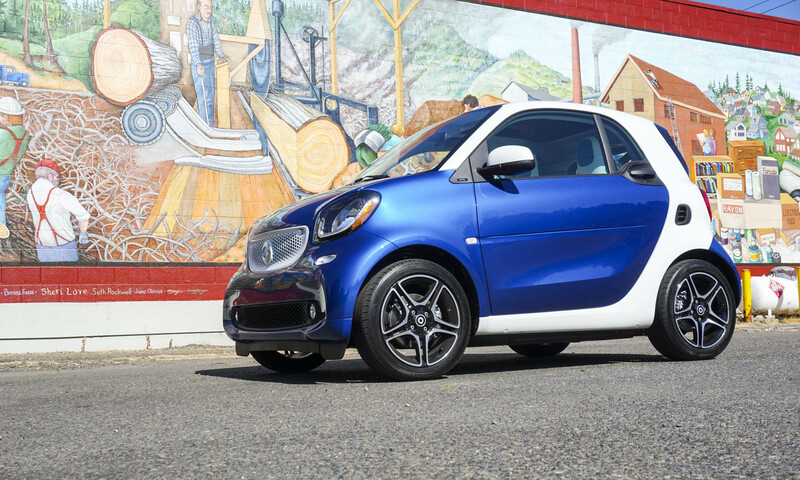 Cons: Limited trunk space with hardtop folded; pay-to-play, but high price guarantees exclusivity.